Boatylicious Pre-Party @ Skybar. 10:00 pm. 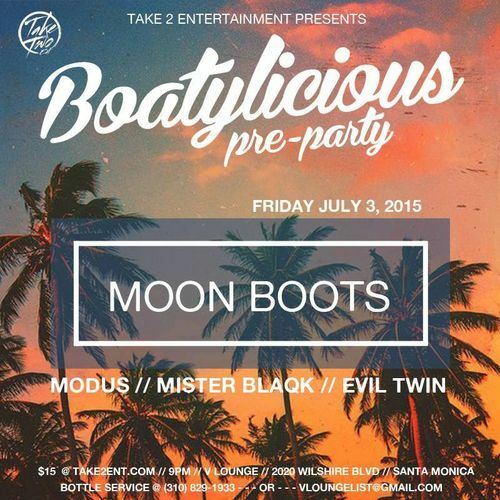 Modus, Mister Black, Evil Twin. More artists To Be Announced. $15 pp. Bottle Service available.